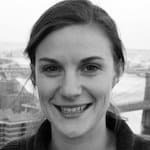 Emily Coppel is communications manager at BRAC USA. She graduated from the Missouri School of Journalism with a degree in convergence journalism and a minor in political science. In 2010, she received the OO McIntyre Fellowship and moved to Johannesburg, South Africa, to report for Global Journalist magazine during the FIFA World Cup. Following the Cup, she served as program manager for Umuzi Photo Club, a youth development organization that creates socially informative media to foster activism in South Africa’s under-resourced communities. In 2012 she moved to New York and worked as a program manager for Girls Write Now, where she brought to scale the organization’s new digital media mentoring program in partnership with Parsons the New School for Design, to teach technology and foster leadership in high school girls from under-served areas of the city. She joined the BRAC team in June 2014. Youth unemployment is a pressing issue in developed countries, but in emerging economies, the situation is even more dire. Unemployment rates of 20 percent or higher are common, with some countries reaching as high as 50 percent. Effective solutions will require an urgent, concentrated and collaborative effort, say Emily Coppel of BRAC USA and Patricia Langan of Save the Children. They outline three key lessons for addressing this challenge, previewing a Sept. 24 forum where some of the top development organizations, research institutes and donors will discuss a path forward. On an estimated 70 percent of land in developing countries, people live without formal recognition of their property rights. Despite significant investment, big improvements in protecting the property rights of most citizens have not materialized. But several civil society and private sector organizations are working to address these gaps and ensure land rights for people most in need - and technology solutions are providing a blueprint. BRAC and Landesa explore four innovative approaches. Does Your Organization Actually Empower Women? Although many organizations working in international development make grandiose claims of their programs’ ability to empower women, with few tools available to actually measure empowerment, it is hard to tell if these claims are based on fact. The Women’s Empowerment in Agriculture Index is one way to ensure that they are.